Eribulin may be effective in the early treatment of women with metastatic breast cancer, a new study has found. While not superior to capecitabine, the findings published by a team from Dartmouth-Hitchcock Norris Cotton Cancer Center (NH, USA), demonstrate that eribulin is both active and well tolerated in women receiving it as a first, second or third line chemotherapy regimen. Published recently in the Journal of Clinical Oncology, the study is the first study to explore the early use of eribulin in metastatic breast cancer. All patients in the Phase III randomized trial had been treated with an anthracycline or a taxane prior to enrollment. The trial included 1099 women who were each assigned to either eribulin or capecitabine as their first, second or third line chemotherapy for advanced metastatic breast cancer. The team utilized stratification factors including HER-2 status and geographic region. The coprimary endpoints of the trial were overall survival and progression-free survival. “While there is not a statistically significant difference in overall survival with eribulin in comparison to capecitabine, the median overall survival seen with eribulin is in fact numerically slightly superior to that of capecitabine,” explained Peter Kaufman (Dartmouth-Hitchcock Norris Cotton Cancer Center), the study’s lead author. 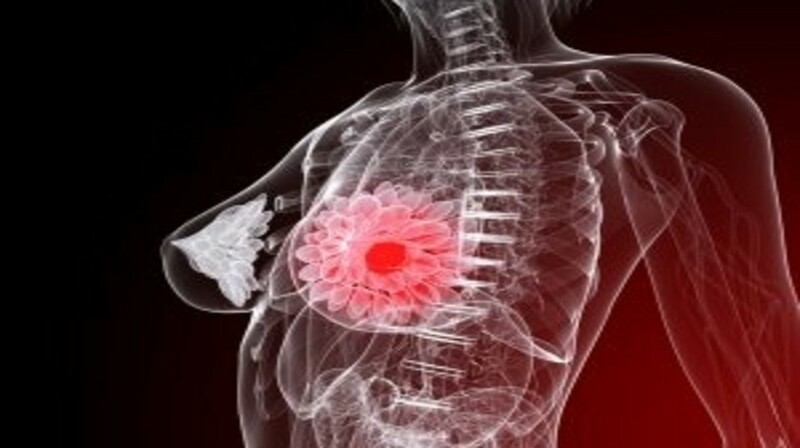 “Additionally, it is of great interest that subset analysis suggests that eribulin may be particularly active and effective in triple-negative metastatic breast cancer, which is known to be an aggressive subset of breast cancer, and one associated unfortunately with a particularly poor prognosis overall,” continued Kaufman. The use of eribulin is widening and it has now been approved for use in the third line or later setting treatment of metastatic breast cancer in many countries. Importantly, it is the only chemotherapeutic agent that has demonstrated a survival benefit in these stages for patients with metastatic breast cancer. The findings of this large international trial contribute to the results of previously promising trials, which all highlighted the potential impact of eribulin for the treatment of metastatic breast cancer, and have provoked much interest from oncologists and other clinicians. As well as supporting previous work, the findings of the Norris Cotton Cancer Center study have led to further studies of eribulin in metastatic breast cancer, including plans for pilot adjuvant and neoadjuvant studies. “We are currently developing further studies evaluating the utility of eribulin in treating women with triple-negative disease, either alone, or in combination regimens with other therapies. We are additionally planning further research evaluating the role of eribulin in other subtypes of breast cancer, particularly in early-stage breast cancer, where this therapy may in fact have a great impact, and improve the cure rate for early stage disease,” Kaufman concluded.